(April – October) The exploding Craft Brewery phenomenon prevails in Western Carolina. You want the experience, but don’t want your wallet to explode from a DUI!! 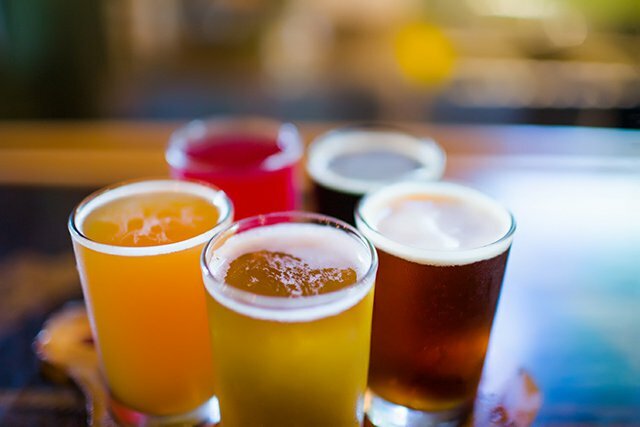 This Craft Brewery tour will give you the best of the Western North Carolina area with a designated driver. Tour starts at 11:00 A.M. in Bryson City and ultimately returns there as well. Tour accommodates up to 4 people and is approximately 5-6 hours. Food trucks available at several of the breweries. Tour includes a pint of beer at each brewery and transportation. Amazing attention to detail every step of the way and the uncanny ability to turn every experience into a lifetime memory. I don’t know when I’ve had more fun! Fabulous time. Both my husband and I were super impressed with the attention to detail this tour provided. Along the way we were given historical information on the area and we were given suggestions on other points of interest in the area. Oh, and the breweries were awesome! Tasty! We will do this tour again when we come back here.